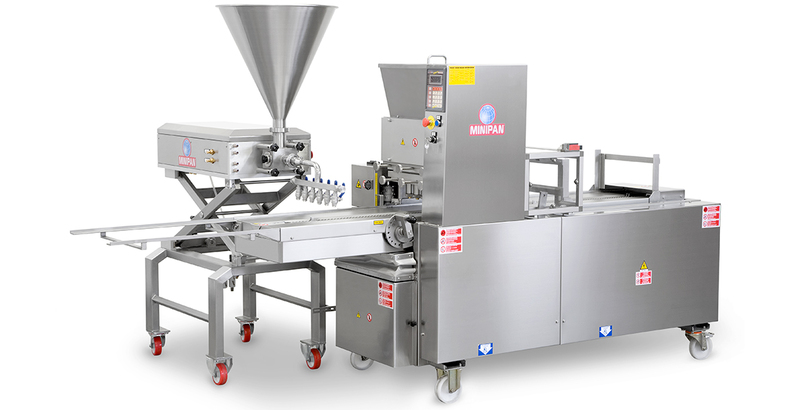 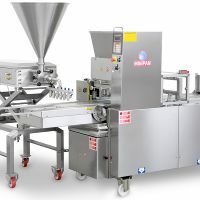 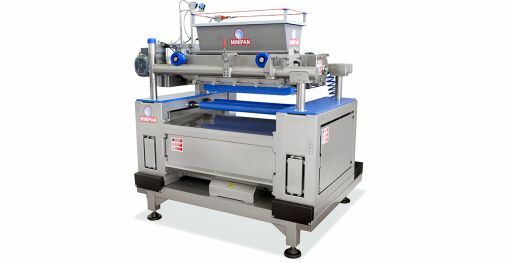 Volumetric depositor for viscous topping designed and produced by Minipan. 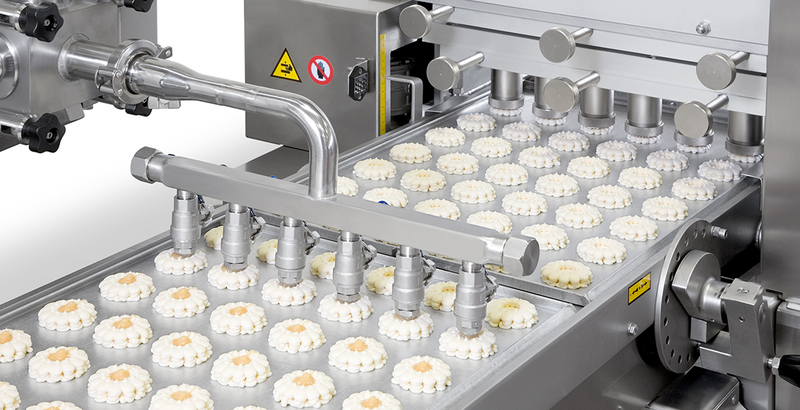 JELLY TOPPER, the volumetric depositor for jam and creams that uses the extreme precision of COMBY³ to decorate biscuits of every shape and dimension. 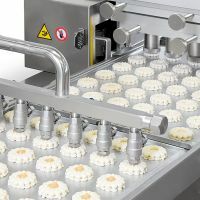 A process as simple as effective: first COMBY³ deposits perfectly on the tray, then JELLY TOPPER decorates in phase the surface of the product. 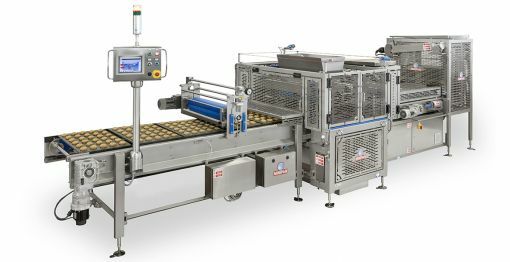 Very easy to install, this depositor will give your biscuits that artisan appeal that makes the product so desirable for many clients. 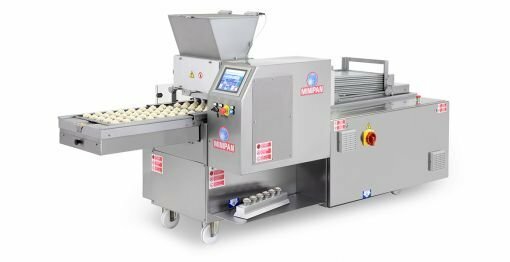 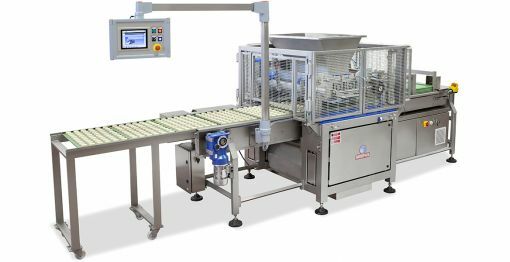 Moreover, automating the process means to cut useless costs related to hand labor and to control more in deep the decorated portion. 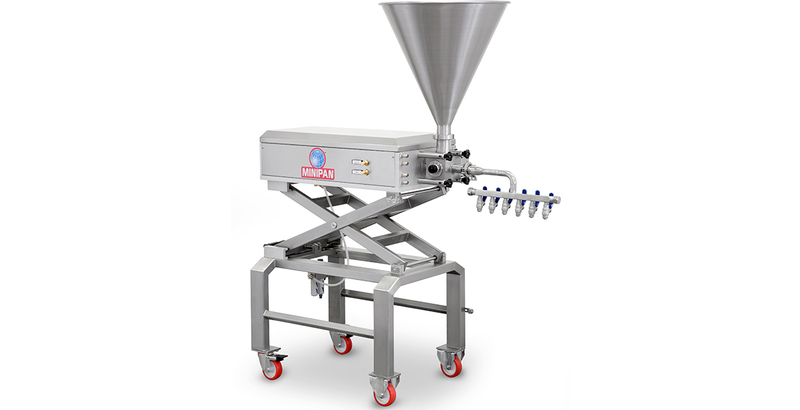 Want to know more about our volumetric depositors for topping and filling?